On August 18, a band of enthusiastic volunteers got together to find meaning serving the needs of their own communities. 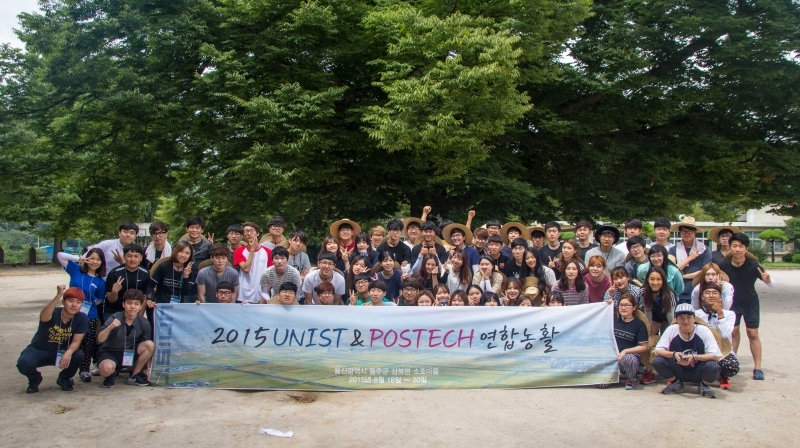 This is an annual outreach project, organized by student volunteers of UNIST and POSTECH. As the day arrived, approximately 70 student volunteers from both institutions made their way to the local farms to provide a helping hand to farms and rural communities in Ulju Country. In the process, these student volunteers also spent some time making connections and building social networking with rural farmers. 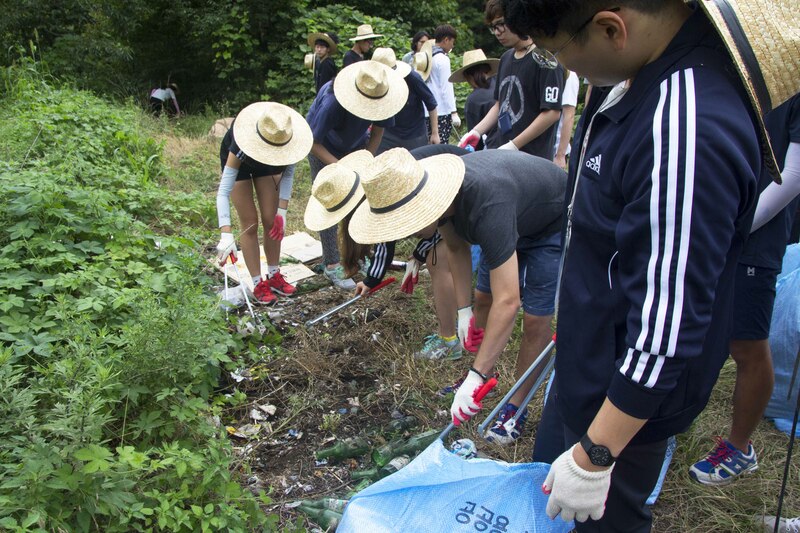 For this year’s project, students from UNIST and POSTECH spent three days in Soho Village, located in Ulju County assisting with cleaning stables, haying and feeding cows, picking up trash in and around town, as well as helped remodeling a welfare center for the elderly. During the course of the event, students also provided assistance in school subjects, particularly math, science, and English at Soho branch school. It all started in 2013 when a group of enthusiastic students from UNIST Students Union decided to reach out to people in their own communities who are in need of help. “This was a great opportunity to help build more synergetic working relationships between the two S&T specialized institutions,” says Sang Won Baek from the School of Materials Science and Engineering at POSTECH.